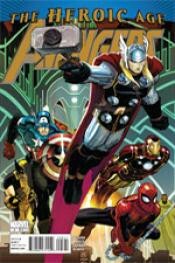 Earth's Mightiest Heroes united against a common threat - The Avengers - fight foes no single hero could withstand! Captain America! Iron Man! Thor! Although their ranks may change, one fact remains constant: The Avengers will always assemble to protect the world from any threat imaginable!